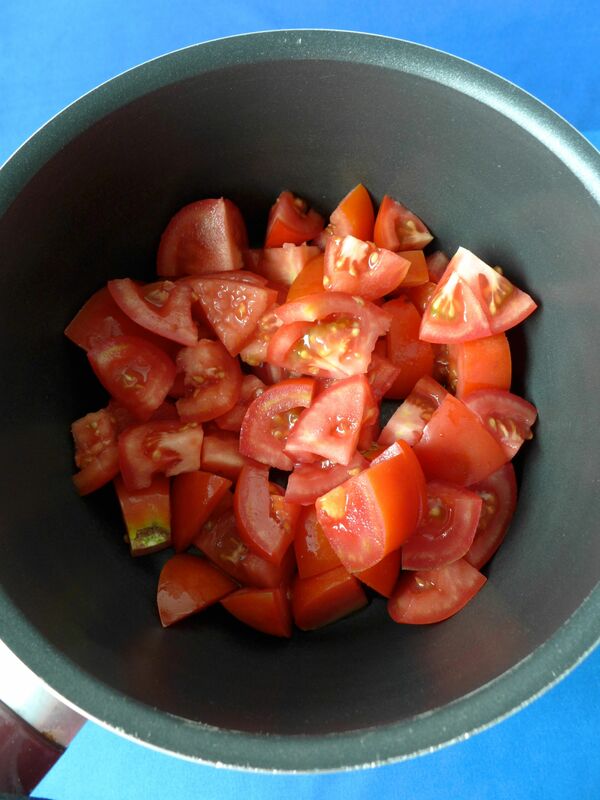 Wash and chop the tomatoes. 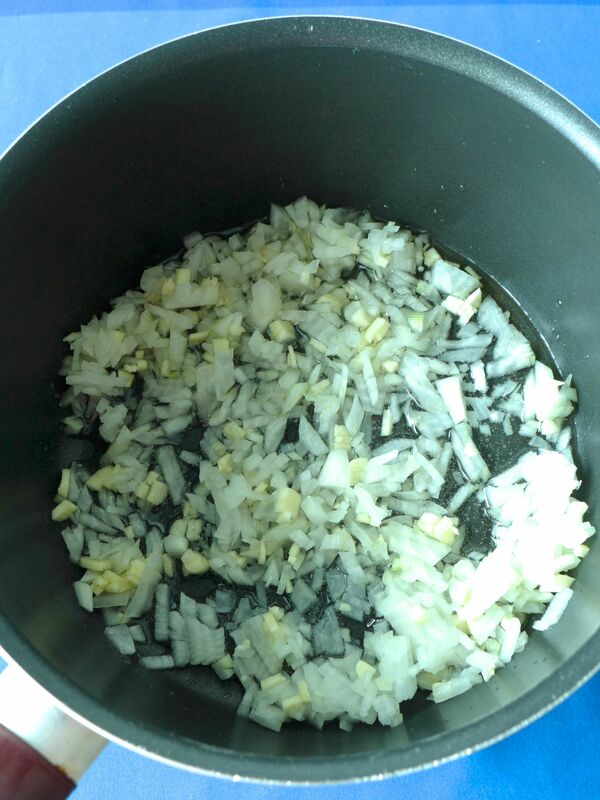 Place them in a pot on medium-low heat. 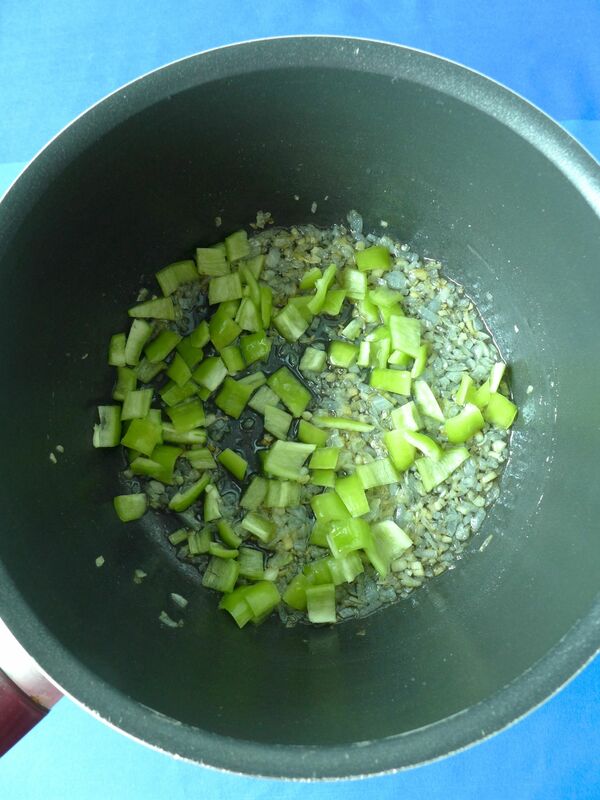 Stir them occasionally. 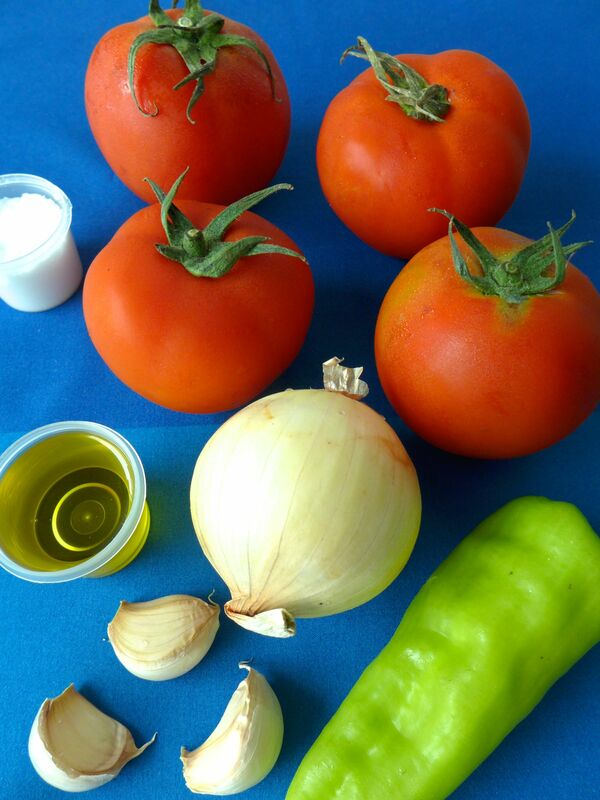 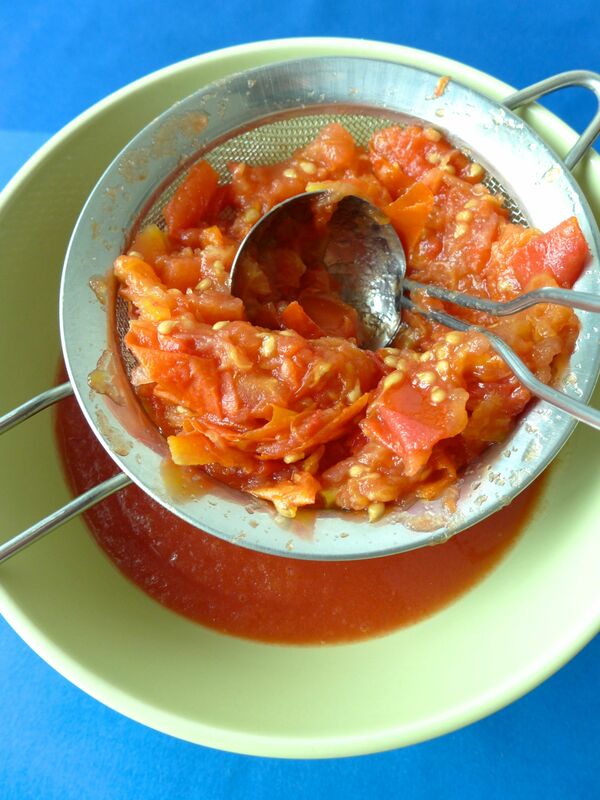 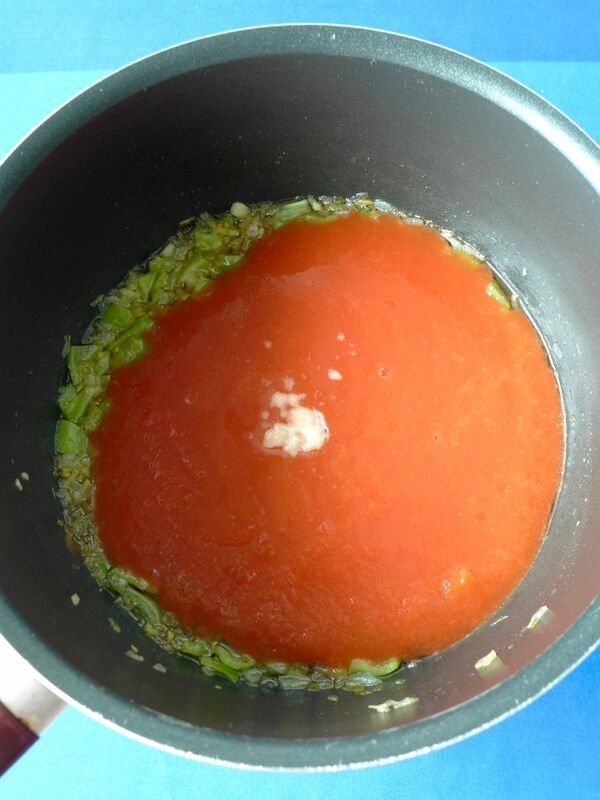 When the tomato is soften, remove it from the heat and strain it. 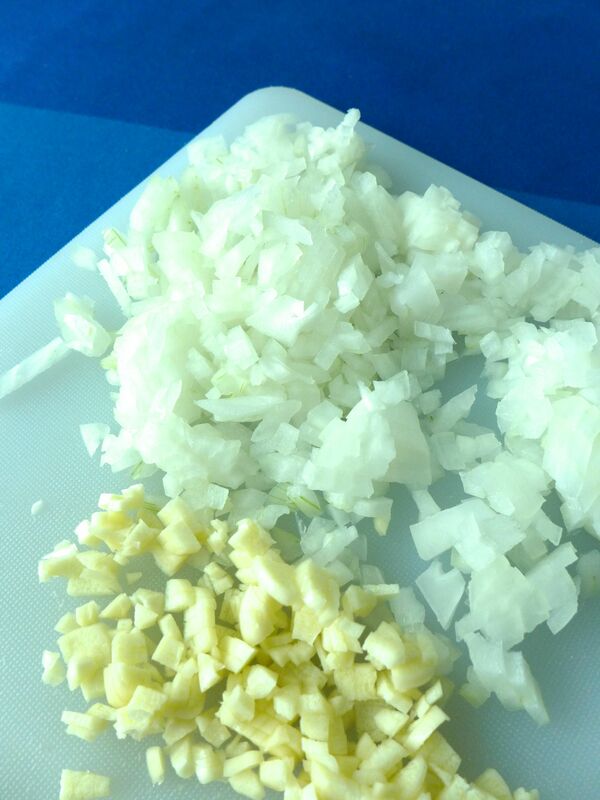 Chop onion and garlic, and fry them in a pan with olive oil on medium-low heat. 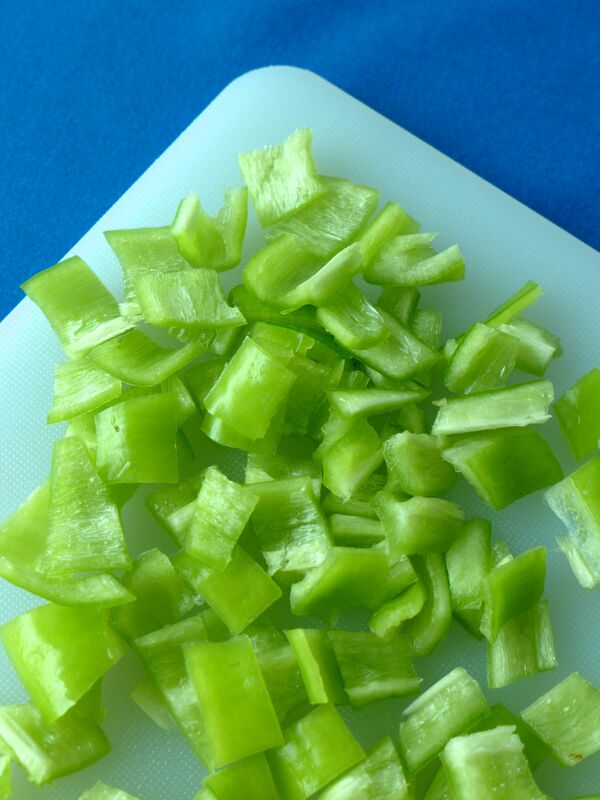 Chop green pepper. 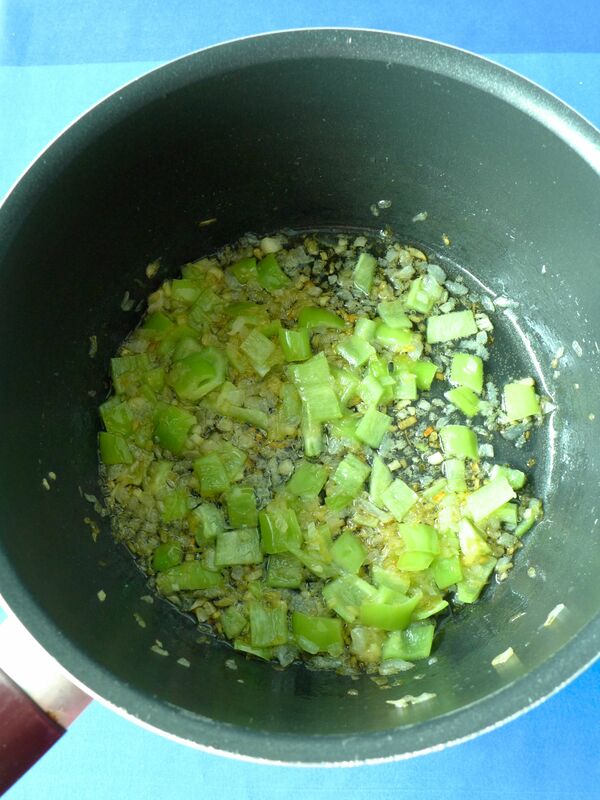 When the onion and garlic are golden, add green pepper. 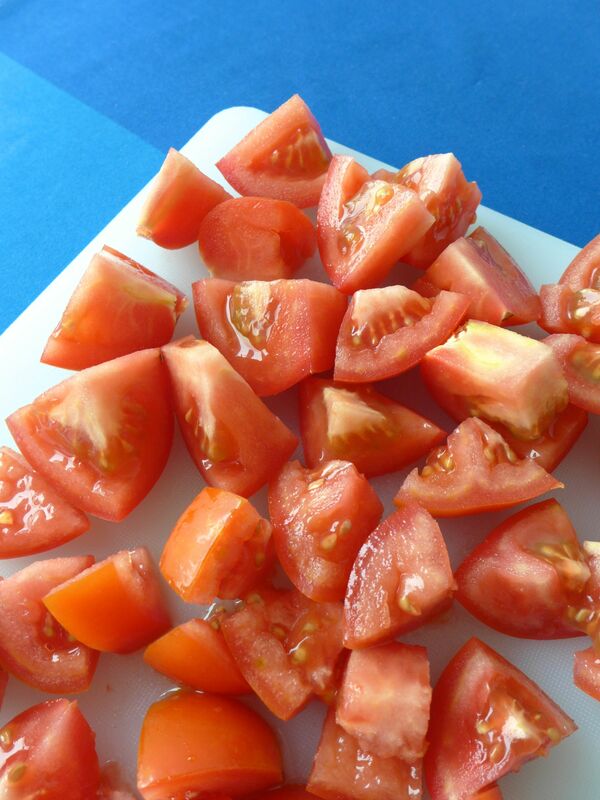 Fry it for 1 or 2 minutes, add tomato and salt, and reduce the heat. 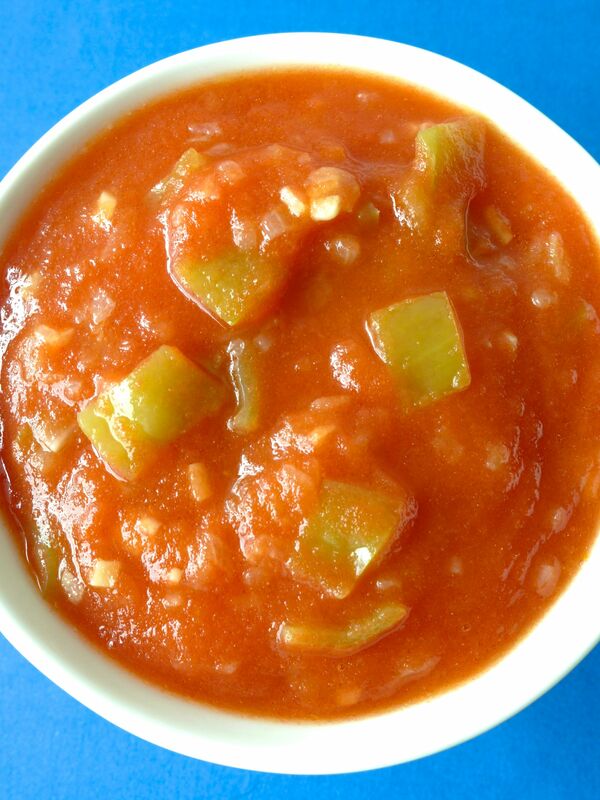 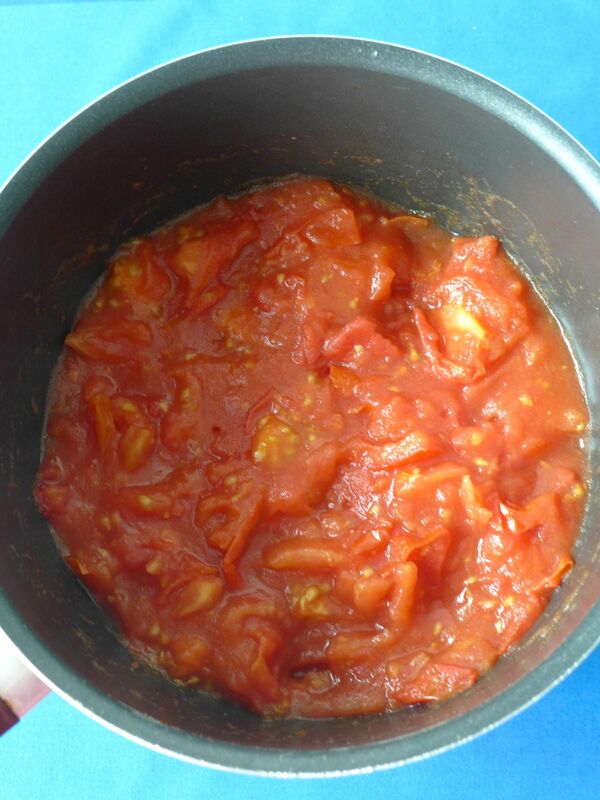 Let it cook for 15 to 30 minutes (depending on the type of tomato) to get a thick sauce. 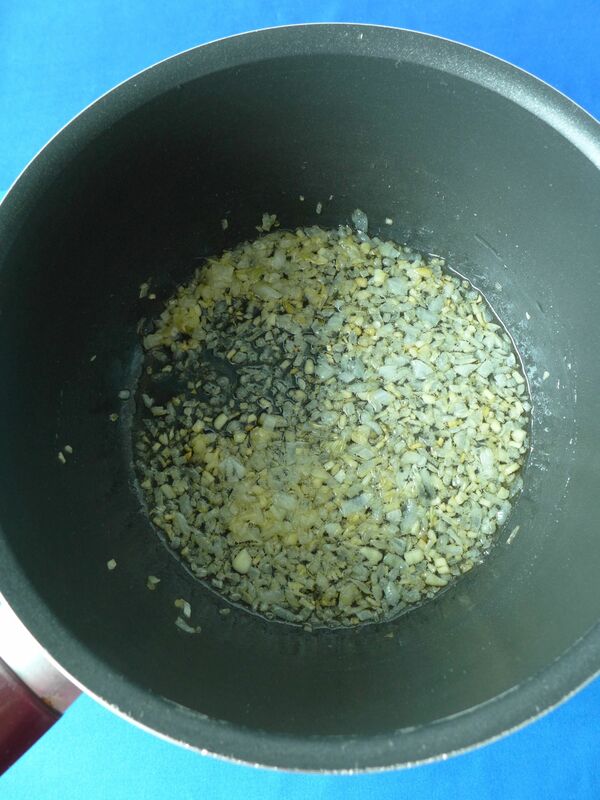 Stir it occasionally. 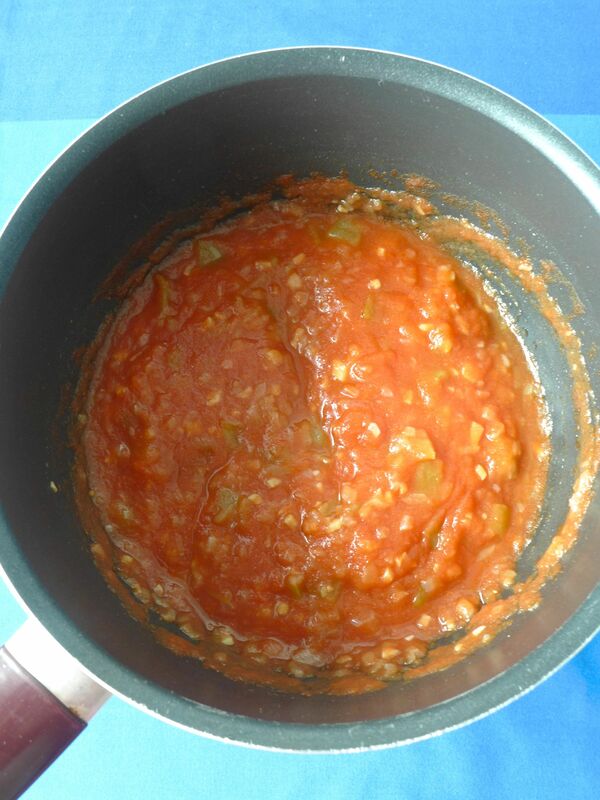 Taste the sauce and, if it is acidic, add some sugar.